Picture perfect - enjoy a few days tucked away in South Iceland to switch off and treat yourself to some time out. Let yourself unwind, however you define this: steam, spa and sauna, yoga at sunrise or quiet relaxation and a good book. There’s space, fresh air and the most amazing landscape, it’s a wonderful change of outlook helps a change in perspective. Look at the night sky and for the Aurora Borealis, or Northern Lights from the garden or hot tub. Everything is taken care of so that you can just relax and enjoy this rejuvenating break on your own, with a friend or partner. Unlike many retreats this programme is flexible. Enjoy local food, drink and sightseeing and finish the holiday in Reykjavik with your free time or take the chance to stay on for an extended time, just ask us for complimentary touring. On arrival at Keflavík Airport, we’ll arrange a late afternoon private transfer to our cosy countryside accommodation. Our first evening sets the scene in this delightful geothermal setting with a chance to meet everyone, begin our wind down with yoga, breathing and guided meditation. 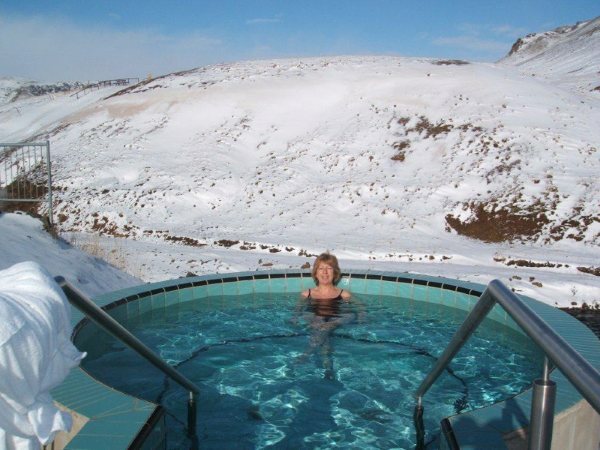 A delicious home cooked Icelandic supper will be served in the candle lit dining room and we can end the day relaxing in the hot tub under the night sky. 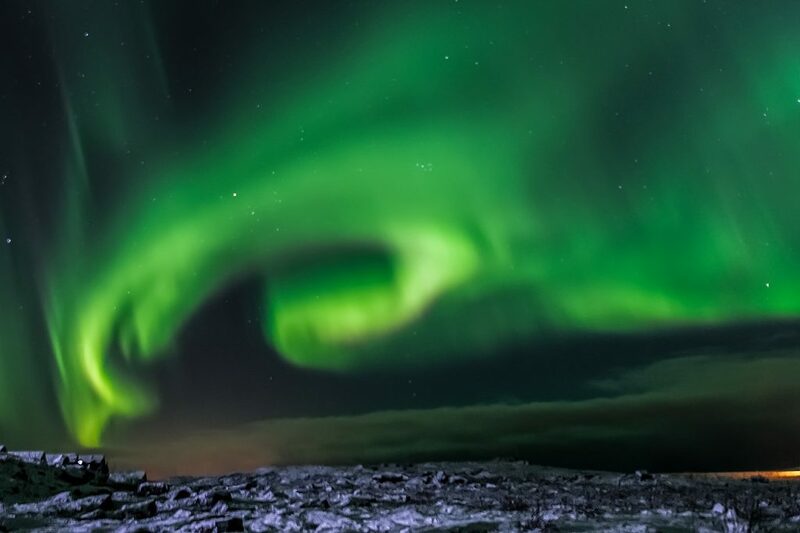 It's still the season for seeing the Northern Lights and where better to see them than from the warmth of a hot tub! After sunrise yoga we'll go out for a geothermal and spend the morning with some of Rowena’s guided meditation, perhaps more yoga or another treatment or time to ourselves. We'll take a walk through a wooded valley and hope to experience some al fresco meditation on the way, arriving for an afternoon of wonderful indoor geothermal indulgence with spa, steam, sauna and the option for a mud bath too. This will leave us feeling extremely relaxed, though with energy enough for conversation and laughter as we gather together in the evening for a delicious meal, our daily drink, and maybe the hot tub or additional treatments with Rowena or Kate if you wish. Even though sunrise is getting earlier every day, it's not to be missed! This is also true for seeing some of the sights of the famous Golden Circle. 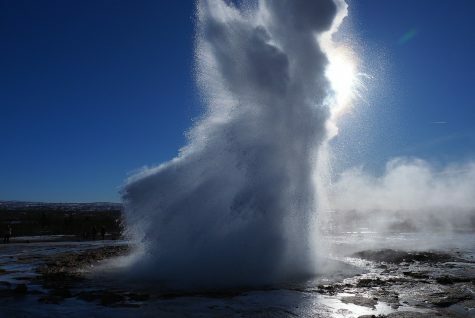 There's a morning spa visit with sauna and optional very cold water experience, followed by lunch and a visit to watch for the steam erupting high into the sky from Iceland's famous geyser, Strokkur. By this time we'll have worked out what we all enjoy best for meditation and will include this during the day which ends in Reykjavik in a comfortable central hotel. This will be our last evening together so we'll have dinner together in Reykjavik during the evening. After breakfast we have time for a walk around this fascinating city and we can try to incorporate the group wish list and find the shops and places of interest to visit that will have come up in conversation over the preceding days. 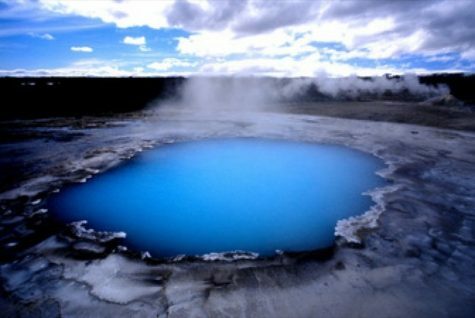 For those returning home, we’ll travel to the airport in the early afternoon to check in for the flight, but for those staying on there's an evening trip to the Blue Lagoon available or of course we will arrange any other plans that you'd like to make!